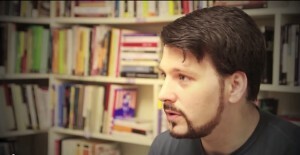 Richard Seymour is the author of Unhitched: the Trial of Christopher Hitchens (2012), American Insurgents: A Brief History of American Anti-Imperialism (2012), The Meaning of David Cameron (2010) and The Liberal Defence of Murder (2008). His writes regularly for the Guardian and runs the popular blog Lenin’s Tomb. Richard Seymour, author of the recently released 'Against Austerity', examines the ideological and political mechanisms through which a politics of austerity can gain the consent not just of the elites but of the majority of the public.